Bunting Magnetics is launching the new low-profile ElectroMax Overband Magnet at Bauma 2019 (Munich, Germany 8-14 April, 2019 – Stand 133 in Hall B2). The ElectroMax range is 185% stronger than equivalent Permanent Overband Magnets and also 25% lighter. The development in response to customer’s requests for smaller, lighter and more compact Electro Overband Magnets without any compromise in separation performance. 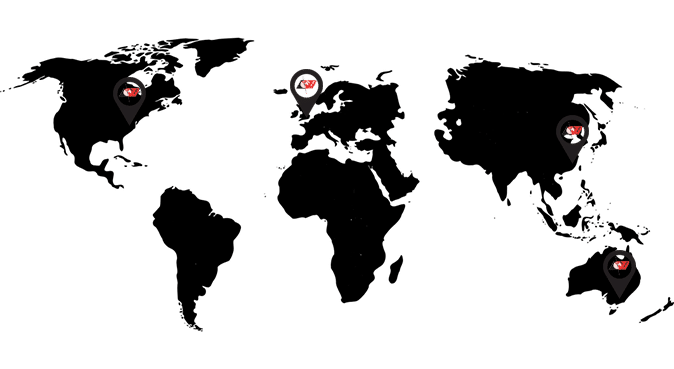 The ElectroMax compliments the extensive range of Electro Overband and Suspension Magnets currently manufactured by Bunting at their Master Magnets manufacturing facility. Electro Overband Magnets separate tramp ferrous metal from conveyed bulk materials. An electromagnetic coil generates a magnetic field directed down into the product flow of the conveyor. Any tramp metal entering the field is attracted and lifted out of the burden. On self-clean designs, where a belt is moving around the magnet, the tramp metal is transferred away from the conveyor and deposited in a collection area. The ElectroMax Overband Magnet is ideally suited for any application where there are weight and size suspension limitations. 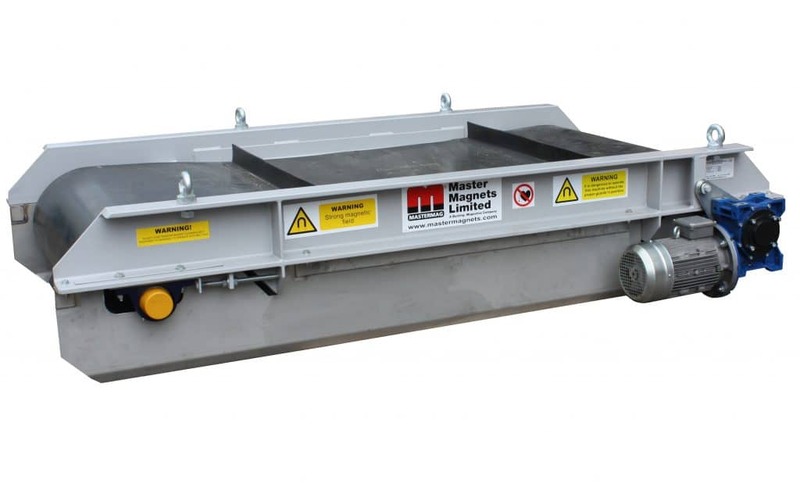 Traditionally, mobile plant such as screens and crushers use Permanent Overband Magnets for tramp metal removal. For more difficult tramp metal separation applications, additional magnetic power is required. The ElectroMax provides this boosted separation force whilst remaining compact and light; two important features for any mobile plant. The ElectroMax electromagnetic coil produces a high gradient magnetic field that, for one specific model, is up to 250% more powerful that its equivalent Permanent Overband Magnet. This enables the removal and separation of smaller and more challenging shapes of iron contaminants often missed by a Permanent Overband Magnets. The additional magnetic strength also aids the lifting and removal of heavier tramp ferrous metals. The ElectroMax Overband Magnets uses a similar frame design as the Permanent Overband Magnet. The self-cleaning belt, rotating around the magnet to transfer captured metal, is driven and guided by two pulleys instead of the normal four. This significantly reduces the weight and size. Also, unlike other designs of Electro Overband and Suspension Magnet, the coil of the ElectroMax Overband Magnet is cooled by air, eliminating the need for any oil or conservator tanks. Unlike permanent magnet designs, it is possible to switch off the power to ElectroMax Overband Magnet and thus the magnetic field. This helps when undertaking plants maintenance. There are four models in the ElectroMax range. These are designed for suspension at a height of 450mm over conveyors with widths of 1, 1.2, 1.4 and 1.5 metres. Average comparisons between the new range of ElectroMax and the Permanent Overband equivalents show a 185% increase in magnetic power (the Force Index) matched by a weight reduction of 25%.